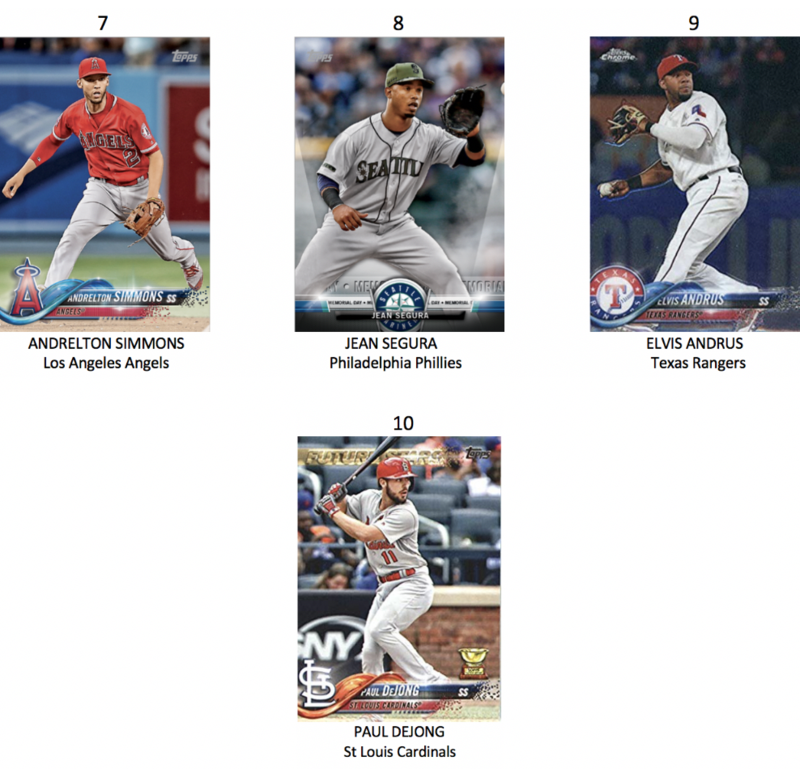 Home » Texas Rangers » Top ten shortstops. When you start compiling a list of the best shortstops heading into the 2019 season, you realize one thing: there are a lot of great shortstops in the game right now. It used to be shortstop was a totally defensive position. All glove, no stick. If you got any offense out of him whatsoever, you were lucky. He was basically a step above the pitcher when it came to offensive production. But Cal Ripken changed all that. Here is my list of top ten shortstops. Finally, a familiar name pops up. Interestingly, until the Mariners traded Jean Segura, the A.L. West had four of top ten short stops in baseball. You’re right–finally. To quote my man “The times, they are a-changin’.” It might be more accurate to say that times have changed. If we were to rewind back to February 2012, the Rangers would have had 4 or 5 in these sort of “Top 10” lists. Now, just 1, since there is no way any Ranger OF is on this one. And if that lonely one has a good year–he’s gone. If I remember what I heard correctly, his agent, Boras, turned down a guaranteed 10 year @ $35 million annually for another client–Harper, from his present team, the Nats. Boras may make his agents lots of money, but he cost Harper a pretty penny. To my knowledge, no one has signed him since that crazy offer was refused. I don’t know who is the craziest. The Nats, for offering such an insane deal, or Boras/Harper for turning it down. One can be certain that the deal Washington offered is no longer on the table. One can be equally certain that no other team will even come close to matching or beating it. Greed cost Harper a bunch of dough. That leads us back to Elvis. I want to see him remain a Ranger. But because Boras is his agent, I see him in another uniform next year, if he has the kind of season he started last year. The Rangers will not break the bank for Elvis, but I think they’ll offer a good deal, but a reasonable deal. I want Elvis around. No longer is Profar around as insurance and if Elvis leaves, that opens another hole to be filled. I sure hope it does not happen. And I’d like to see him close to the top of SS “Top Ten” this time next year. I think Elvis will stay. As powerful and influential as Boras is, it’s ultimately up to to the player, who is the client, and who is calling the shots. I think Elvis truly likes being a Ranger. I guess a lot depends on the new direction of the team but I see Elvis buying into it. Harper, on the other hand, is an all-me type of player. He was out to set salary records. But Boras has been misreading the market the last few years. Harper, while an extraordinary talent, isn’t a top-ten hitter in baseball, and has been rated poorly on defense. He wants to be the highest paid player of all time when he isn’t even the best player on the free agent market right now. From all reports, he is being offered contracts, but not ten years. Teams are so reluctant go that long anymore. In addition I think Elvis being married and having two kids impacts him in the avenue of staying here. SS is highly competative. Simmons is the best defensively, overall I would’ve taken Correa but injuries gave him a major setback last yr. So he needs to bounce back. If Elvis is hitting on all cylinders I think he belongs on this list, if not he is prob middle of the road. I agree with what you wrote about Correa. I am not familiar with Simmons. You may be right about Elvis’ domestic situation. I hope so. I think Elvis is just hitting his prime. I have very good memories of him and (punk) Kinsler in the great years, 2010-2011, and what could have been the best, 2012. They were a darn good middle of the IF. I think Elvis and Odor can be better in the field and at the plate. Even back then, I felt that when Elvis filled out and got stronger, he would be a good line drive type hitter. I did not expect him to become as powerful as he has. I am very confident that those two guys can get close to the level of what the Astros have in Altuve and Correa. That is a bold statement that many might quickly dismiss. Maybe it’s just wishful thinking. Still, when I think of them at their very best, at bat or in the field, I see two solid pieces to a good IF. At 1B Guzman is a slick fielder who saves a lot of throwing errors, which is always nice. 3B is the hole. I keep thinking about how nice it would be if Gallo was there, but apparently that is no longer a possibility. I have no idea what the Rangers have in their farm system as far as 3B is concerned. That may have to be a FA move. I hope you and Kevin are right about Elvis. I really see him as just coming into his prime. He would be very hard to replace. The Rangers really do not need a hole at SS and 3B. That would be a huge setback. Let’s hope it does not happen. Two yrs ago, he was very good. I don’t think he can get any better than that, but that is good enough for me. I expect, and hope, Elvis stays. And I think there are at least 10 MLB players all around better than Harper. Borass’ ego, which may be even larger than Harper’s, has gotten in the way of Harper having a big payday when Borass convinced him he could get him the biggest ever. I think your assessment of Boras(s) is right. His ego may be what cost Harper. But Harper has the final say, as Kevin pointed out regarding Elvis. Greed is morally wrong in my book. It ruins anything it touches. I find is humorous that they turned down that absurd offer. The Nats ought to be glad. They would have been stuck with a very bad contract. Awesome! We finally made the list! Top 10 possums later this week!!! I don’t know what’s in store for Calhoun, but I hope it’s good. He’s busted he backside this off season. It’s something he’s never done before. He finally got the message and lost a bunch of weight. Additionally he worked with the Rangers coaching staff on his defence and base running. It’s going to be tough to find a spot for him, but if putting in the work over the winter means anything, he deserves a LONG look at ST. I think he put the bad rap for lack of work ethic behind him this winter. May Woodward, having worked with him when with the Dodger’s, got through to him. Somebody did, and that’s a good thing for everybody. Just don’t see were he can play every day, only 3 really open positions, 3rd, catcher and centerfield. May have to wait until Choo is gone. If he can hit major league pitching, which he has not proven that he can (.233 over 133 AB’s). It’s a small sample size, but he wouldn’t be the first player that couldn’t translate minor league stats to the majors. And, if he has improved defensively enough to play LF full time, Move Gallo to CF. DD is not a lock as a CF’er. He’s pretty good at times, but certainly not a lock. Willie is a LH bat, but if he can hit the Ranger’s can live with it. That’s a lot of if’s, but stranger things have happened. I don’t think it will, but one never knows. Good suggestion. Gallo is athletic enough to play CF, but he would need to spend a SP practicing that important position. Unfortunately, at this point, no one knows if Calhoun is going to be able to hit MLB pitchers. So right now the Rangers can’t make such a decision. Wouldn’t it be nice to have some idea of how well Calhoun will hit. IDK why everyone is upset about late signings….Darvish,Arrieta,Hosmer,JD Martinez all signed later last yr. I don’t think people would be making all the noise that they are if the terms of the contracts were different. People don’t seem to be able to adjust to the shorter contracts at fewer dollars. I don’t know where I saw the statistics (I spend too much time on this stuff) but they clearly show that somewhere around age 30 a player does not have the skills that he once did, and it’s rather dramatic. If I can find it, I’m pretty sure management has and they aren’t ready to give out the long term contracts as a result. There are exceptions, but with the money involved it may not be worth the risk. Just guessing on my part. I agree…I was just speaking to how everyone thinks its deep into the year….change the subject I will go longer term on a batter as opposed to a pitcher. Unless the FA market changes next year from what it has been the last two years if Elvis opts out he will take a pay cut. At least for now those big long high dollar contracts are gone. So at 15 mil guaranteed for the next 4 years and a vesting option for a 5th year Elvis has a great contract. Oh smack! I forgot about Elvis! Lol. YAY we made the list! We have fallen far when we only have Elvis in the top 10 on all of the position players and one could probably argue Didi Gregorius should hold his spot. I haven’t seen the outfielder’s ranking yet, but I know none of them crack the top 10 and that’s even going position by position and not acclumative. I do hope Elvis elects not to opt out of his contract. For all of his boneheadedness throughout the years, he’s has been consistant presence (last years injury asside) in the middle of the field and for the most part plays above average ball for his position. Gregorious would have been in the top ten had it not been for the fact he’s going to miss at least half the season. 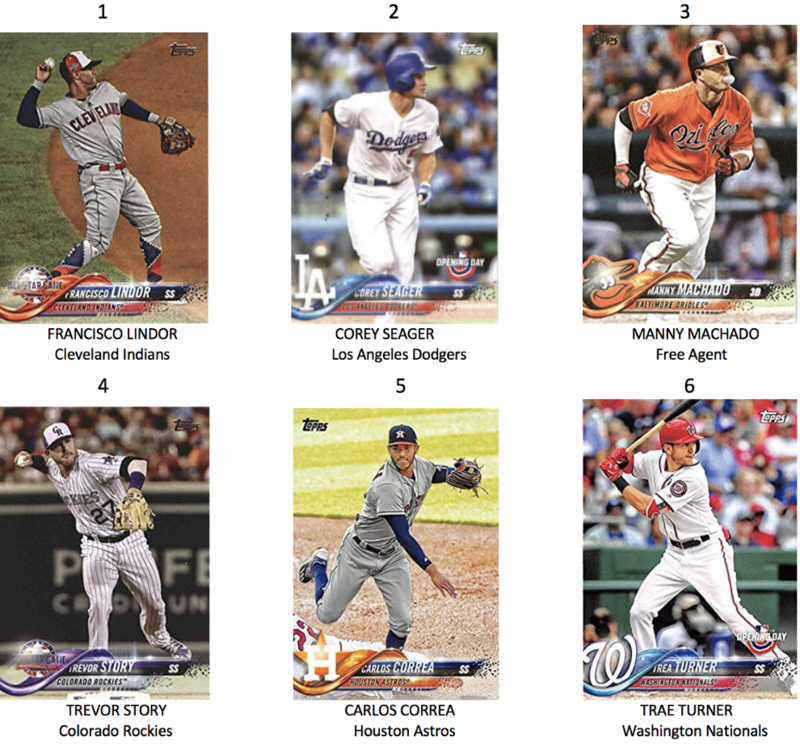 ← Top ten third basemen.